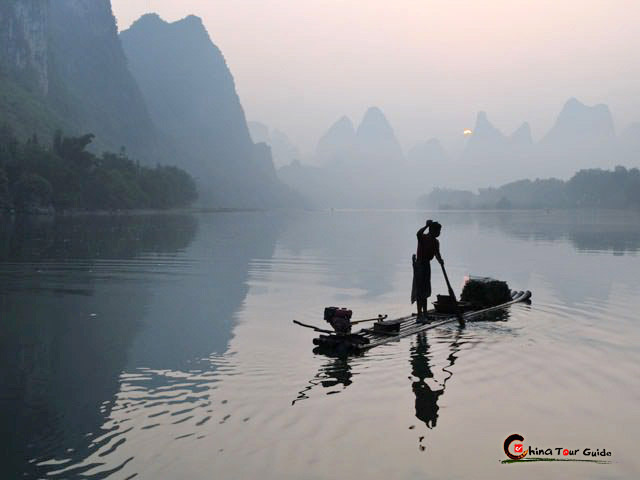 Guilin is built around plentiful rivers and lakes that are connected and linked together. 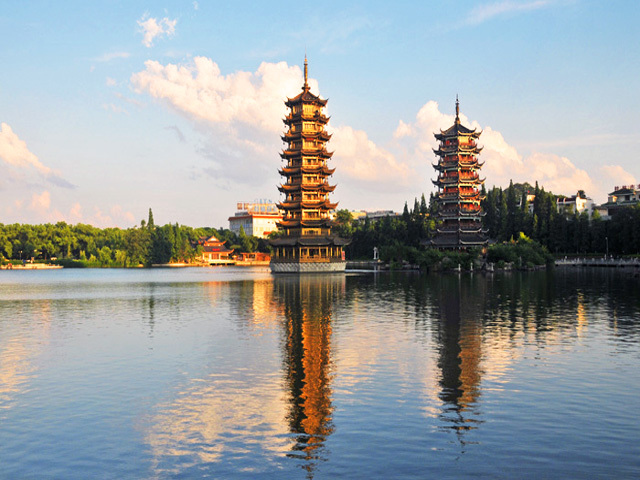 The Li River and Taohua (Peach Blossom) River; Rong (banyan tree) Lake, Shan (Chinese fir) Lake, Gui (Osmanthus tree) Lake, and the Mulong (Wooden dragon) Lake comprise Guilin's central round-the-city water system, known as "Two Rivers and Four Lakes Area". There are distinct marble bridges and pavilions throughout the waterways. Evening cruise amid this peaceful area has been offered as a new way to enjoy the city and the natural scenery around it. Tourists welcome the cruises as refreshing, relaxing, and peaceful alternative to the sometimes chaotic and noisy normal modes of sightseeing. 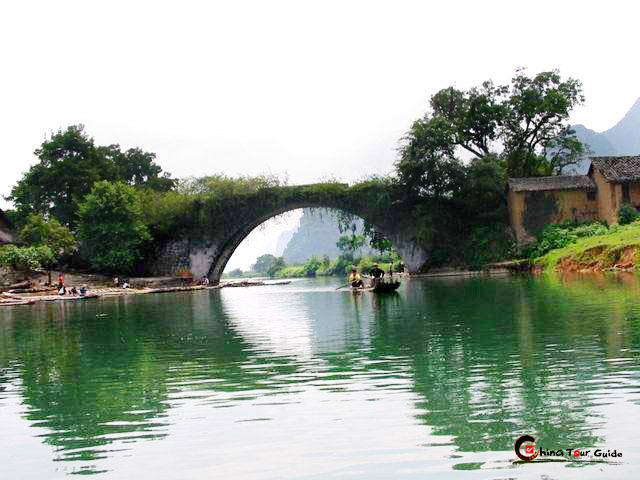 More than 1,000 years ago, a complete moat river system was formed in Guilin. Water recreation and tourism had been highly fashionable during the Tang and Song dynasties. 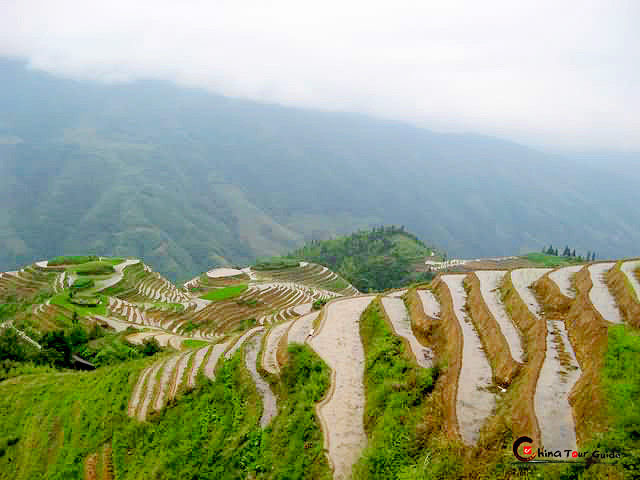 However, as history took its course, the waterways were silted up, rivers and lakes were separated, water quality became bad and cultural relics were buried. The great concept of Guilin on the water didn't exist any more. At the turn of this century, the Two Rivers and Four Lakes made a come-back. The thousand-year old waterway was recreated. 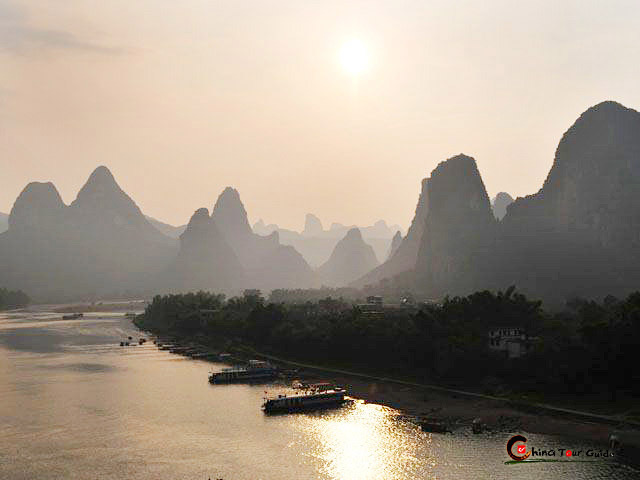 Now its combination of historic and modern culture, Guilin's plethora of natural attractions, and an ecological harmony between man and nature now all coexist. The Two River and Four Lakes Area currently connect the rivers and lakes to various attractions. The lake banks are paved with slabs covered in lush trees, and convenient for travelers to walk around and enjoy the scenery. The night scene of the lakes and rivers is particularly charming when the area is colorfully lit. At night, cruises shuttle to and fro on the lakes, travelers and local strollers amble along, and folk artists perform next to the lakes.